Music TV Channel / Tuba.FM Internet radio platform of the Agora Radio Group, which provides online streaming of radio stations and internet radio stations. At Tuba.FM, anyone can create their own internet radio by giving one or several artists. Based on this, the radio generating system selects playlists of artists similar to those provided by the user. In addition to this, you can listen to the radio stations belonging to the Agora Radio Group and internet radio stations with music selected by genres and artists. 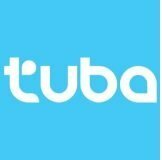 Tuba has its own algorithm for combining music styles and stationery, and utilizes the potential of its own music department, which simultaneously deals with music research. For the development of the algorithm, the service received the Media Trendy 2010 award in the category of media innovation.